"Then shall he confess unto you, and deny no more that he has done this murder. And then shall he say unto you, that I, Nephi, know nothing concerning the matter save it were given unto me by the power of God." In Helaman 9, Nephi the son of Helaman revealed, through revelation, that the chief judge Seezoram had been murdered by his brother Seantum. When Seantum was questioned, he was incriminated by the blood found on his clothes and so confessed to the crime. Seantum was then condemned, and five people who had been accused falsely were set free. However, since the Law of Moses traditionally required two or three witnesses for a conviction (Deuteronomy 17:6), it is difficult to know how Seantum’s conviction could have been legal. Thankfully, a story in the book of Joshua set a precedent that helps explain what happened in Helaman 9. Because of this, God refused to fight with them, and they lost (Joshua 7:12). Joshua discovered through revelation that the culprit was an Israelite soldier named Achan (vv. 16–18).2 When Joshua confronted Achan, he confessed to the crime and Joshua sent people to find what Achan had stolen (vv. 19–22). Achan was then summarily executed (v. 25). In both Seantum’s and Achan’s cases, a person was condemned for a capital crime, even though he was the only witness. Thus, it would seem that the two-witness law had been violated in both of these instances. They confessed outside of court or the will of God was obviously manifest in bringing them to justice. Physical evidence was produced that proved who committed the crime. Just as in the case of Achan, Seantum had been detected through revelation, he had confessed to the crime spontaneously and out of court, and obvious physical evidence corroborated that he had committed this criminal act.4 Because the case met all of these conditions, it is likely that these factors could stand in the place of the two or three witnesses normally required. Seantum could be convicted because other factors were present in his case, and Mormon was careful to mention each of those three factors with precision. Even though Seantum’s conviction might otherwise seem irregular, it was consonant with the biblical precedent of Achan. The technically precise legality of this case demonstrates the stark contrast between the corrupt judgments of the Gadianton robbers who currently filled the judgment seat, and the righteous judgments of God, delivered by Nephi. It has been noted that, as the influence of the Gadianton robbers continued to increase, “God’s entrance into this proceeding demonstrated that he was aware of the corruption of political officials to the point of openly sustaining and validating the words of his prophets. 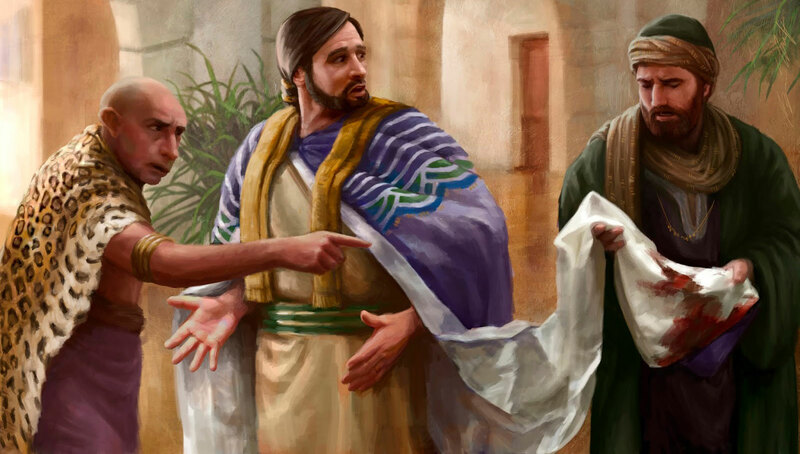 In this case especially, righteous judgment equates with God's judgment.”5 Thus, by revealing the scene of this homicide to the prophet Nephi, God forcefully made the point that He was still in control. No matter how well the people concealed their wickedness from others, they could never hide it from God. Surely the Lord’s directing of the outcome in the trial of Seantum would likely have encouraged the small band of righteous Nephites living in a wicked society. This story can be equally encouraging to modern readers as they live in difficult times. Thomas S. Monson, “Choices,” Ensign, May, 2016, 86. John W. Welch, The Legal Cases in the Book of Mormon (Provo, UT: BYU Press and Neal A. Maxwell Institute for Religious Scholarship, 2008), 313–322. John W. Welch, “The Case of an Unobserved Murder,” in Reexploring the Book of Mormon: A Decade of New Research, ed. John W. Welch (Salt Lake City and Provo, UT: Deseret Book and FARMS, 1992), 242–244. 1. See Joshua 6:18–19 in which the Lord explained that everything that could burn was to be destroyed, and all the precious metals were to be offered to the Lord for use in the Tabernacle. 2. Casting lots was considered to be a valid way of obtaining revelation from the Lord in Ancient Israel, and that is what Joshua does to determine the will of the Lord in this case. See John W. Welch, The Legal Cases in the Book of Mormon (Provo, UT: BYU Press and Neal A. Maxwell Institute for Religious Scholarship, 2008), 331. 3. See Welch, Legal Cases, 332–333. 4. See Welch, Legal Cases, 93. 5. See Welch, Legal Cases, 334. 6. See Welch, Legal Cases, 334. 7. Thomas S. Monson, “Choices,” Ensign, May, 2016, 86.